It started with the water. It usually does. 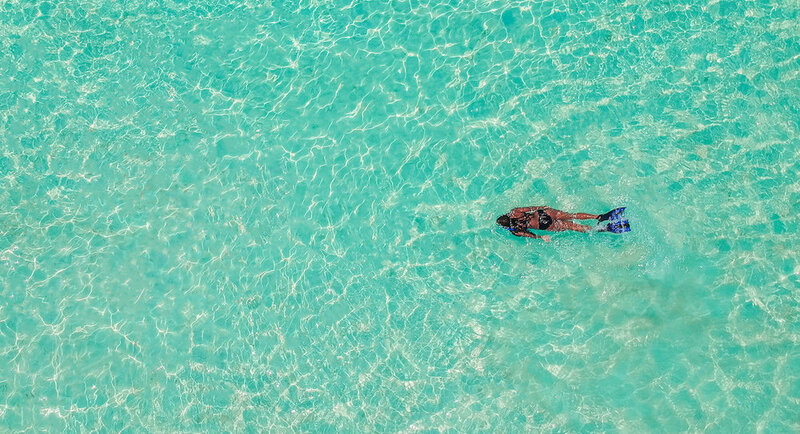 I was drawn to a picture of Seven Mile Beach - to the iridescence of the water and to the lull of sun-kissed, pool-colored waves. It looks like a luxurious bath, warm and bubbly, beckoning intently for a cleansing soak. I reached out on a whim. Into the webs of technology, I thought what would transpire would be hardly a thing. But as luck would have it, they were just at that time looking for SUP. The alignment, serendipitous - interlacing water and friends and dates that met timely in Spring. And the element of - festival! Unlike anything I’ve seen before, this festival combines yoga and paddle boarding, music and dance, insight and outreach, Rasta Eco-Tours and Plant Medicine Ceremonies. It’s Farm to Table and Sand to Surf. Caribbean vibes and a festival seeking tribe to immerse, unwind and realign set to pulse, waves, beats and spirit of the land. The dates for the Tmrw.Tday Culture Fest are April 30th to May 5th or even consider a long or longish weekend away. The current festival ticket offers access to so much day and night things. There are limited Early Bird Passes available at $225 or gather three friends for a four pack at $800. Don’t forget to enter “SUP” in the promo code for a discount! In the heyday of a precious New England summer, outbound adventures reign prevalent. The feel of the welcomed sunshine, the smell of a salt tinged air, the blooming trees chocked full of wind chimed leaves – these and more are the draw to the great outdoors this season. And what better place is there to be than out on the water, in the vortex of all this bounty? Around this time of year, the Long Island Sound and its inlets are like a bouncy castle for the summertime spirit and a salve for the timeless soul. 1. PREPERATION: Each 75 minute SUP Yoga class will include an preparatory overview of the general stand up paddle "How Tos": How to hold a paddle, load the board, stand up and get back down, paddle efficiently, tie up for yoga and call out for support. In addition to the nuts to bolts (or in this case, nose to tail) instruction, be prepared to be guided in your SUP Yoga sequence in a clear way. You may feel unsteady but the overarching approach will be to move slowly. Also to move in acknowledgment and acceptance of unsteadiness; even with reverence to that which is not within control. 2. KNOWLEDGE: The insights on a paddle board may be abundant. The experience may be highly informative to your studio practice, like recognizing intrinsic muscles in your body used to hold balance. And on a personal level, the time on board might reflect an emotional state of being – one that reminds you of your courage, strength, playfulness, gusto and compassion. 3. POWER: There is an old adage in yoga – while the teacher is the designer of the framework of the sequence of postures, the approach, response and experience is entirely up to you. The SUP Yoga teacher will articulate tools to help maneuver a stable board through postural transitions, however the student will rely on the teacher within and use their own felt sense to activate appropriately for optimal stability. It's a highly empowering experience to command a 32 inch wide board and it's totally doable. 4. CREATIVITY: Call me crazy, but each class you attend will be unique. Expect a fresh class sequence, theme and an individual landscape to that moment and tide. Nature speaks of the day, calling attention out of the busyness of the mind and into the far flung beauty of the sky and sea. Curious adventures in form and thought will zing and reverberate in these out of the box experiences. All that from one class?! Where do I sign up?! Check the calendar for the Summer of 2018 open SUP Yoga class schedule in Westport, Rowayton and Darien or call Downunder to book yourself a private or semi-private class. And if you are interested in becoming a SUP Yoga Teacher or simply interested in adding expertise in the mechanics of paddle precision, onboard sequencing, the arc of balance play and class execution – Downunder and I will be offering a SUP Yoga Teacher Training on August 18th and 19th in Westport. This post was originally printed in the Downunder Blog, check out their Blog for many neat ideas and helpful "how tos" for the sport and recreation of paddle boarding. Thumbs up. Stand Up Paddle Board Yoga is the art of Balance Play. There is the give and the get, the up and the down, the effort and the ease, and so forth. SUP Yoga welcomes both sides of the coin in taking something familiar and inviting an experience of it - now felt as brand new. I am proud to share a new piece for YogaJournal.com 9 Surprising SUP Yoga Poses You'll Want to Try This Summer. Let me know what you think of it and I hope we can paddle, pause and play together real soon. In late January, because of the rebuilding of the Bitter End Yacht Club and the calling to continue an escape to the Caribbean Sea, the annual SUP & Yoga Retreat diverted to Mexico. Twelve women set out on this adventure with excitement on its maiden voyage, especially me. We had lots of help from local resident, Alia Mai, with the organization and implementation of the vision to practice SUP Yoga, Land Yoga and immerse in the wilds of something totally new. Alia found for us a new camp, which was just that - glamorous tents at the brand new Nativus, which was fully equipped with the intended vibe for play. It was perfect. Located directly on the scene were the outpost for paddle boarding and SUP yoga classes in a natural Cenote, a sun deck for mediation (and watching the budding full moon) and a spacious, covered platform for land yoga. Tara Jade Nichols conducted a special Full Moon event for us under the open sky at twilight. And Alia arranged massages, a bike tour, reservations and my favorite part, a Temezcal, a traditional Mayan sweat lodge ceremony. Four nights zipped by in the clatter of laughter, chatter and tacos with soon to be called dear friends. Five days were luxuriated upon under a non-stop sun, blue easy rolling waves, classes, contemplations, paddling, yoga and much time for unwinding on a lounge chair at the beach. To see more pictures of yoga, paddle boarding and tacos, click here. And stay tuned here for the announcement of 2019's SUP & Yoga retreat! Many thanks to Alia, the guests of the 2018 Tulum Retreat and especially to my sister, Katie, my partner on this retreat and one of my best friends for life - any festival with you is a tour I want to be on. Are you a yoga teacher that would like to expand your offering? Are you a yoga practitioner that tends outside the box? Have you ever had an experience of wonder in the presence of nature? Are you drawn the sea - to the swirls of the water, to the feel of the cascade and to its tides' flow? Have you had an inkling that your wanted to take this upcoming summer and amplify it in a remarkably radical way by becoming a SUP Yoga Teacher? Yes? Let's go! The Spring 2018 SUP Yoga Teacher Training dates are set and enrollment is NOW OPEN. Limited spots are available for this thumbs up certification on the turquoise boards. Contact The Darien YMCA at 203-655-8228 ext 1311 to BOOK NOW and ensure your spot on this wondrously rad, thumbs up liquid road. My sister, Katie Graves' astrologer knew a woman in Tulum that runs retreats. And so it was all launched from the stars. This makes me smile and yet, seems so natural and right. The brightness has fired, because of the dark. Katie was always supposed to go with me to the Bitter End in 2018. It's something we discussed and determined mid-May. What ensued in September is something that no one ever could have prepared for. Hurricane Irma ripped through the BVIs and the Bitter End Yacht Club wrecking sentimental structures down to honed planks. She collapsed roofs and docks like twigs and stockpiled boats that had been strewn like leaves. It's heart wrenching. The whole fall hurricane season destruction. Efforts are in place to help like: www.beyc.com to support, rebuild and revitalize those beautiful, special places - bit by bit. So the Tulum retreat is launching under a veil of sadness, but in high hope and sheathed in such gladness. This is a new opportunity with all that freshness feeling appeal. And I haven't been to Mexico since I dyed my hair tangerine at eighteen. Luckily, the girl from Tulum, that runs retreats, has become a friend and has been so generous and helpful with designing this for paddle board enthusiasts, fun-lovers, sunbathers and adventure seekers. She'll be there to help us all along the way. So what do you say? Here's to something new. Can we do new together? Starry, starry nights in Tulum? Feel free to reach out to discuss! Our puppy is one and a half years old and fourteen and a half pounds. His name is Huckleberry but he'll also respond when he feels like it to Huck, Hucky, Hucky Baby and Stop That. Corralled in the house, he balances on little legs on the top of the couch frame to croon at the comings and the goings out in the front lawn. Hot breath mists the window panes dare a passing human, woodland creature or an errant crisped, blown leaf pass through Huck's terrain. Alarms are sounded with a puppy bark. The puppy bellows and the chipmunk turns a nut. Leashed on the street, Hucky walks a crooked line with a nose to the earth smelling perhaps for good things to eat. His eyes crane occasionally from the pavement finds like taunt pulls with a taut leash line. Above all eager to meet all animals and peoples on their way, but lacking tact to approach them casually or in a pause-for-reply way. Shot from excitement, he charges each potential friend for a meeting while aghast, most of the old dogs look down, clearly perturbed at his uncouth greeting. Floating on the board, Huckleberry starts at the prow. His nose points out to the horizon, eyes skittering, so much to see. He tries his puppy paw at the sea air as big gulls flap freely and decidedly out of reach. A wake makes Hucky stumble and his fur bottom tremors as he pads his little legs to straighten form. Exhausted, or overcome, the baby tucks his tail, toddles back to my leg and collapses to a seat. Quiet now and still, puppy fur pressed to my shin - we can hear the tap tap tap of the water against the board's shell. Keeping time of this time, those felt moments in between. Do you know where it's not normally freezing? Vero Beach, Florida in November. So the warm weather clothes bin will temporarily sleep in the New England basement and will reemerge upon departure time, mid-Fall. This two day training will cover it all, with the purpose to fully prepare the teacher for their own SUP Yoga classes and adventures. There is so much to cover and so much to do, but first, perchance to dream? Reach out if you would like more information on this thumbs up venture with Shelley Adelle and the Yoga Pagoda Concierge. In 2014, I sat down in a conference room at the Bitter End Yacht Club corporate headquarters hopefully holding my calendar and a pen. You see, the thought had been tossed around that we could create a stand up paddle board retreat for vacationers and yogis who wanted to commune in the spirit of adventure, sport and fun. I came to the meeting prepared to sell myself as a teacher and as a retreat leader, although I had only been teaching for two years and I had never led a retreat. However, what I received was a warm inclusion onto the staff, an infectious excitement with the programming and an intro to a resort that sells itself. Natural Caribbean beauty, a bar none water sports arena and family friendly comforts are hallmarks of the Bitter End Yacht Club. But some of the many nooks, elements, textures and knittings of the setting's splendor I slowly uncovered over the years: like a solo hammock positioned just so, a colorful array of beckoning Adirondack chairs, lanterns swung from palm fronds canopies, a softly weathered deck that cautioned to mellow and slow, sun-warmed sofas to hold court for rich coffee, a conversation over an omelet station as layered as each special spice meticulously added, the afternoon light as the boards dipped for a final swim, the glossy feel of the bar after it was tenderly rubbed. Touches, like these, were carefully done. They were diligently maintained. They were quiet, simple pieces but they were noticed and felt and appreciated. The spirit of the Bitter End is its makeup of family owned, family operated and a relaxed, family-like feel shared amongst guests. It's that synchronicity, I think, which produced the common reflection from guests that this retreat was "timed perfectly", "exactly what was needed" and even, "was a turning point". Courtesy was left stateside for a more familiar counseling, encouragement or support, whether slightly a-tilt on a ride to Cow's Wreck beach or maneuvering boards back from lunch on the rock or wielding a mask for an underwater excursion or trying the way at getting lost on the sea's sway or dancing in sand, under the brilliantly-lit stars. Five days may seem too short for such declarations but if you consider the multitude of adventures summed, days aren't the right measurement for the experiences had. All thanks to you. On September 6, 2017 Hurricane Irma swept through the Caribbean causing mass destruction throughout the region. Bitter End Yacht Club and the community of Virgin Gorda have been devastated by the storm. Bitter End was founded as a family resort and yacht club in 1973 and is one of the largest employers on Virgin Gorda with over 175 employees. Over the last forty years, the spirited team that works at Bitter End has become an extended family for many all over the world. We are all heartbroken that our employees, their families and the Virgin Gorda community have lost so much in Hurricane Irma. We need your support to help them rebuild their lives and the Virgin Gorda community. Please make a donation today. Every dollar donated will go towards BEYC Caribbean employees and the community of Virgin Gorda. The following images caught my eye at the Bitter End Yacht Club that very first year. The memories of the spirit, the foundation of the friendships, the gratitude for the experience and the hope for ease in rebuilding – is what will remain. Welcome to Beach Yoga Summer Session II. That's right, technically it's still Summer and will be so until late September. Today? Well, today it feels more like… late Fall, right? I woke down right COLD this morning with the windows (too) eagerly opened last night. I cranked the handle at 4AM and shivered from the air and from the thought of perhaps what's to come. It's a conflicting thing with me – I appreciate the royalty of the landscape as the season shifts from green-blue to a technicolor rainbow. I enjoy the re-set of time and space, the opportunity for fresh notebooks and I even like to reconnect with my stove with the hum of football things coming through the background television. But on the opposite side of the coin, I wholeheartedly love everything about the freedom of Summer and with two kids, I can get bogged down (more like manic) with the whole – shopping, sorting, scheduling, shifting, sifting, searching, stuffing - that can come with the "Back To School" trench. Beach Yoga is intended as a respite from the everyday stuff, like the calendar of to-dos, must-dos and should-dos. It's a kind, designated time to reflect, connect and realign with the present moment fully, the one that operates with all that stuff, like the wiz of the bus and the wheel of worry, AND holds space for a noticed warm cup of coffee with a creamy swirl of milk. The asana, or poses, are wondrous in their potential to stretch and strengthen the body and in their potential to bring the mind home. Peace, freedom, self-discovery and personal expression are the hallmarks of beach yoga and I can't think of a better setting to set that sail, out in the elements. I wanted to give you all my contact information. Please feel free to drop me a line if you want to chat about yoga (or your favorite fall recipes). With much excitement and anticipation of another spectacular adventure, here are the details of the fourth annual SUP & Yoga Retreat to the Bitter End Yacht Club in Virgin Gorda. The resounding feedback from past retreat go'ers is the complement of fitness and fun, scheduled and unscheduled, kindness of the water sports staff and array of water activities to dive, jump, paddle or float into. It's the first day of Summer. The longest day of the year. Good thing too. Because there is a lot to do. I tasked my kids to make a list. "What do you want to do this summer?" Blank faced, they drifted, crunching Os in their own time. Rounding back. Easy does it. No thoughts have been strained. "Perhaps learning a new dive and sleeping outside?" The inflection on that last word as hollow as their whole grains. Admittedly, we've been "under the weather". New England has not graced us with its per-usual, post Memorial Day summer-like-feel and the forecast has been sick with rain. Plans foiled, but perhaps the lesson is - not to toil? Best to take it as it comes. Slow chews of sustenance - like wheat and time on the feet. The word "solstice", I read, comes from the Latin words sol sistere, which means "sun standing still." When Gigi was little, we asked her what vanilla ice cream tastes like. She returned with a smile, hardly awhile, and did not hesitate with, "nothing." Summertime moments, when the clock melts and the sun is felt, feels about right with "yes, I'll have - nothing" (to do). Some mornings, before the coffee and while the dog pees, there time for a simple: one, two, three type stretch. This one is for the shoulders and for those early, early mornings when one, two, three is as far as the mind is revving to go. Take it slow. In addition to a family vacation to play in the waves, I taught a ThumbSUP Yoga Teacher Training immersion with The Yoga Pagoda as part of their 108 Hour Advanced Practices and Master Classes offering in Vero Beach, Florida earlier this month. The students of the training were 200hr+ Yoga Teachers or wellness professionals and active practitioners. They had a range of paddle board experience, a range of curiosity in SUP Yoga and were interested, potentially interested or not interested in teaching SUP Yoga. The 1/2 day Thumbsup Yoga Teacher Training Immersion program allows Yoga Teachers and Students to dive into the study of Yoga on a Paddle board without the certification requirements of CPR, First Aid and water rescue accreditation. The goal of the immersion is to provide an overview of Stand Up paddle board Yoga (from how to hold a paddle to how to use the board as a belt in a forward fold) and to equip the trainee with the on land and on board fundamentals of how to conduct a safe, efficient and effective SUP Yoga class with the assistance of a SUP Professional. As a reminder, the Academy of Surfing Instructors (ASI) recommends a student : teacher ratio of 6 : 1 which furthers the calling for support. At the Vero Beach SUP Yoga TT immersion, I was grateful to have two helpers on the water scene: Chris, owner of Paddles by the Sea (and provider of the equipment used that day) and my friend and advisor and local SUP tour leader, Kat Kruse. The winds were just a singular palm frond short of being prohibitive to play on board that day. Chris, Kat and I each had a role. Even though the floating yoga studio was a few paddle strokes from shore, the roles of onboarding, assisting with equipment, photography and guiding the sequence and the float back the shore were all deployed. Between the gusts, the trainees challenged asana preconceptions, relaxed into the wake and rose with receptivity to the tide. It was a thumbs up day. If you are interested in adding a SUP Yoga Teacher Training Immersion to your 200hr, 300Hr, 500hr Yoga Teacher Training or Masters Classes Yoga programming, please contact me. I read somewhere about a notion of the 24 hour day split into three eight hour blocks. IN essence: eight hours to work., Eight hours to sleep and eight hours to - well, fill freely. It's that last block, that I've been considering. I need to sleep eight hours (although it's frequently more like seven). I need to report to the office for eight hours (although it's frequently more like nine). The time in between is varied and frequently, entirely unaccounted for. Time slips by between work and sleep with - what? In an effort to move towards reclaiming that in between 8 hours (or more like one), a consistent scheduling of yoga on Wednesdays has moved from docket to done. The winter core yoga series ends tonight and the spring series begins mid-April. Below is a gift of thanks, and beyond these lines, to those friends who've been right there besides or who can relate, on the whole - really, how does time transpire? At the core of it, it's a sequence - one, two, three, four but hey, off the paper, add dimension, and account - and it can be - so. much. more. 8 week spring core Yoga series begins April 19th. $155 for Darien Residents and $186 for Non. Register here. Why retreat to the Bitter End? While Summer is about diving in the present moment, like the touch of a cool dip or the taste of a first sip, I find myself considering plans in September. Back to school for the kiddos seems to drive a want for a cracked, fresh notebook for me. It's a time to reflect on the good times of the summer days and plan for something equally rewarding in its quest and fruitful in its application. 1. Stand Up Paddle Boarding (SUP) will challenge you. There will be an option for two to three classes a day which will leave you sore for oh, um... two to three days. In the best way. (Insert fist pump emoji). SUP is a total body workout. You might become acquainted to muscles you didn't even know about. At the end of six days, you'll likely feel strong - both in your physicality and in your commitment. Who knows what that will lead to once you are back on the mainland? 2. Yoga is a practice in the art of balance - the balance of adequate engagement and sweet release into great receptivity. But this will be best reveled when you are floating under a rainbow (happens every year) with your fingers dipped into the warm, welcoming sea. There will be SUP Yoga and Land Yoga and an opportunity for one-on-ones. Care to dive deep? That's encouraged. In fact, I'll hand you a mask. 3. Speaking of masks...There is snorkeling and cruising and all sorts of other watery cavorting. In fact if you are looking to check the box on the whole spectrum of adventuring, you are cordially invited to fill every waking moment with activities. For example: 700AM Sunrise Hike, 800AM SUP Yoga, 930AM Breakfast, 1030AM Snokel Excursion (perhaps a trip to The Baths), 1200 boat to explore islands and lunch, 300PM Hammock swing, pages to read and beach swims, 400PM SUP Yoga, 530PM Power Paddle for cocktails and apps, 700PM Shower and Change, 730PM Dinner at the Club or Under the Stars or at that place on the sand, with the swings at the bar (for real). 4. Tropical fruits and local fish and fresh everything are great for performance, but they are also really, really delicious. The bounty provided will challenge you to choose. But I find folks usually come back to their same seat each morn. It sort of becomes like a groove to watch the day awake with the water seated besides, chair tilted back and sunglasses preferably on. 5. And when the day eventually comes to a close, rest assured that the next day has the potential to be better still, than all the rest. I was going to go for a run before teaching these Saturday morning classes. I was going to clean the garage and make my own pickles and donate more clothes and ride my bike this summer with my feet off the peddles and I haven't.......Yet. I have been on this platform each and every Saturday morning. Not because I need inspiration for more things to pack into a summer weekend, but because i am inspired to remember that this is THIS summer weekend. And It's been packed with new reflections and epic weather and wonderful students and fresh classes and that is something to be noted, never mind the pickles. .